With 53 Monster Energy NASCAR Cup Series wins and 203 overall wins amongst NASCAR’s top three series, Kyle Busch knows a thing or two about tasting victory whenever he straps into a racecar. Busch, driver of the No. 18 Skittles Toyota for Joe Gibbs Racing (JGR), is the only driver to score top-10 finishes in all seven Cup Series races contested so far this season, a distinction he’s held since the fourth race of the season when he brought the Skittles colors to victory lane at ISM Raceway near Phoenix. Even more, Busch was close to at least three more victories during these first two months of the season. With another win at Auto Club Speedway in Fontana, California the weekend after Phoenix, and five top-five finishes among his seven top-10s – no doubt a very strong start to the season – Busch sits atop the point standings heading into this weekend’s race at Bristol (Tenn.) Motor Speedway. As the NASCAR Cup Series heads to the .533-mile, high-banked, concrete oval for Sunday’s Food City 500, Busch returns as the defending winner of the spring race at a venue where he now has seven career Cup Series victories – the most wins of any active driver. This weekend, Busch and his team travel to Bristol looking to continue their consistency while also aiming to start another win streak after their back-to-back wins at Phoenix and Fontana were followed by a third-place run at Martinsville (Va.) Speedway and last weekend’s 10th-place result at Texas Motor Speedway in Fort Worth. The Skittles team has every reason to feel confident since the Bristol bullring and next weekend’s stop at Richmond (Va.) International Raceway are among Busch’s strongest tracks on the circuit. In addition to his seven career Cup Series wins at Bristol, Busch has notched 10 top-fives and 15 top-10s in 27 career starts at Northeast Tennessee’s “Thunder Valley.” Three of Busch’s Cup Series wins there came over a four-race span in 2009 and 2010. While he is one of the favorites to win any time he travels to Bristol, it’s interesting to note Busch didn’t immediately take to the place. During his rookie year in 2005, he posted finishes of 28th and 33rd. But his record since then has been impressive, to say the least. After bringing home finishes of eighth and second in 2006, Busch captured his first Bristol Cup Series win in March 2007. The track was resurfaced after that race and, from 2008 to 2011, nobody has been better at Bristol than Busch. He scored four wins and six top-10s from 2008 until another change to the track surface prior to the August 2012 race weekend. Busch seems to have recaptured the magic from his four years of dominance there into a new era of strong runs. So as Busch and the Skittles team head to the Bristol bullring this weekend, they’ll hope the strong start to the season is just the start of something even bigger. Another checkered flag at a Bristol track that has treated him quite well over the years is certainly not out of the question. With the Skittles tagline of “Taste the Rainbow” in mind, Busch will certainly not tire of tasting victory every chance he gets. Note: Lug nut(s) not properly installed. Crew chief (John Klausmeier) has been fined $10,000. Conventional wisdom suggests one pit road penalty can be overcome, but two pit road penalties is something a driver and team generally cannot recover from if they have any intention of winning a Monster Energy NASCAR Cup Series race. It just doesn’t happen with any regularity. Denny Hamlin and the Joe Gibbs Racing No. 11 Toyota Camry team, however, don’t care about conventional wisdom. 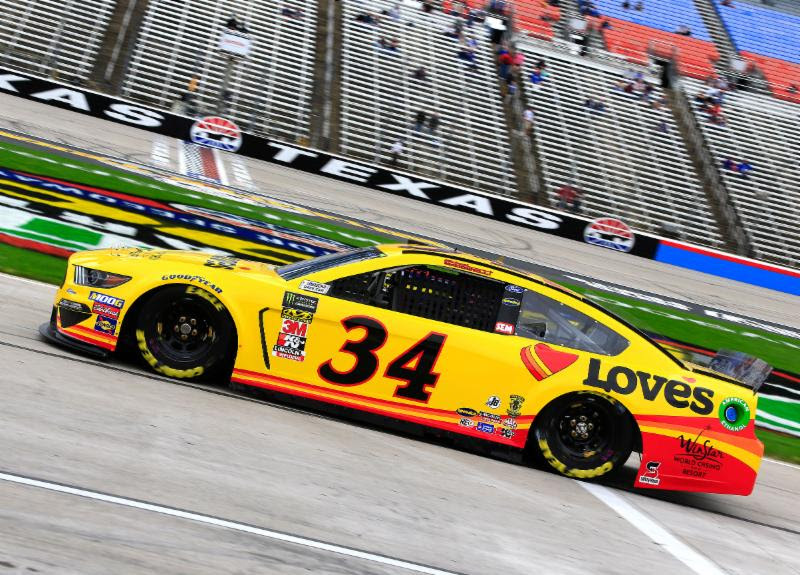 In spite of incurring not one but two penalties on pit road, Hamlin won the O’Reilly Auto Parts 500 last Sunday at Texas Motor Speedway. The first penalty occurred when Hamlin exceeded the 45 mph pit road speed limit while making a pit stop on Lap 64. The second penalty was for an uncontrolled tire violation on Lap 173, seemingly cementing that this wouldn’t be the day Hamlin won his second Monster Energy NASCAR Cup Series race of the 2019 season. And yet when it was all said and done, there was Hamlin in Victory Lane, having rallied back to overcome both penalties, celebrating his 33rd career win in NASCAR’s premier division. Oh, and Hamlin also missed pit road while attempting to make a green-flag stop during Stage 1, then later the No. 11 team had a slow pit stop due to a tire changer dropping a pit gun. Hamlin is the first driver to win a race despite being penalized twice on pit road penalties since Brad Keselowski won at Talladega Superspeedway in October 2014. Issues on pit road have been a recurring theme for Hamlin and his JGR team this season. He has now been penalized four times in the past three races for various infractions on pit road, yet in each instance he still a managed to record a top-10 finish: a seventh at Auto Club Speedway even though he sped on pit road; a fifth at ISM Raceway, a race that saw the No. 11 team penalized for an uncontrolled tire; and then both penalties on Sunday in Texas. It’s almost as if Hamlin, crew chief Chris Gabehart and the No. 11 team are attempting to earn bonus points for degree of difficulty. Just imagine the outcome if they could avoid being penalized. “We haven't optimized our races yet,” Gabehart said. “That's encouraging to know. You're racing against the best teams in the world. It's difficult to have a flawless race; it's not an easy thing. It's one thing to identify, it's another thing to fix. That's something we got to work on. But while Hamlin and company may have had some gaffes on pit road in recent weeks, their collective excellence on pit road also factored heavily into Hamlin winning at Texas. Hamlin’s final pit stop Sunday came under green flag conditions, with him holding a narrow lead over second-place Clint Bowyer. But Hamlin got on and off pit road quickly and smoothly, while the No. 11 team also flawlessly executed a fuel-only stop. The mistake-free sequence allowed Hamlin to extend his lead over Bowyer. He was unchallenged the rest of the way, winning by almost 3 seconds. Speed is a cure-all. And there is no doubt Hamlin has had that in abundance this season. Hamlin’s two victories are tied with Kyle Busch and Brad Keselowski for most in the series, marking the first time in his 14-year career he has had that many wins through the first seven races. And Hamlin sits second in the standings, trailing leader Busch by just eight points heading into next weekend’s Food City 500 at Bristol Motor Speedway (2 p.m. ET on FS1, PRN and SiriusXM NASCAR Radio). There is every reason to think Hamlin can continue his winning ways at Bristol, then carry that to subsequent races at Richmond Raceway (April 13) and Talladega Superspeedway (April 28). The Bristol-Richmond-Talladega stretch sets up favorably for Hamlin, who’s won a combined five times at these three tracks. Now, if Hamlin and the No. 11 team can just avoid having to overcome a penalty or two every week their path to Victory Lane would be all the easier. 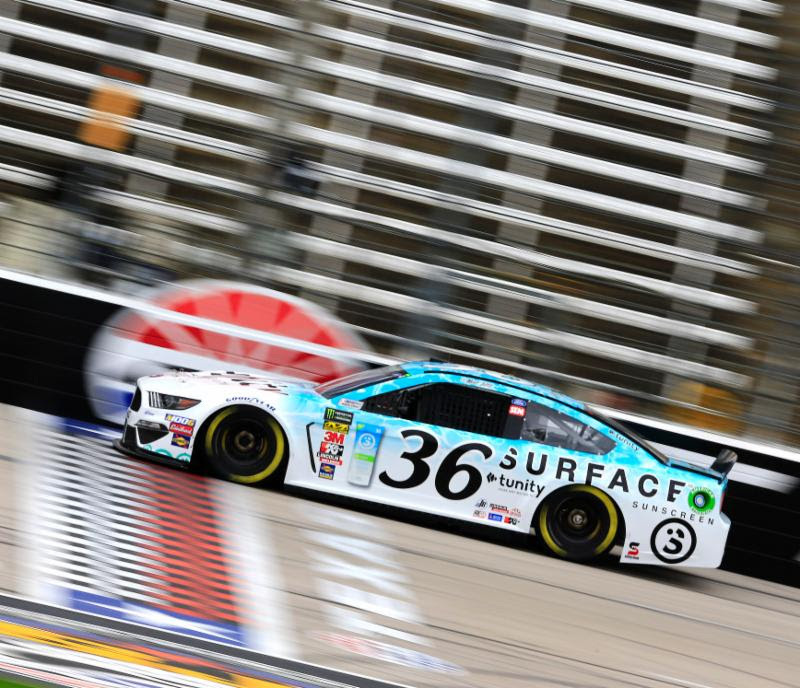 Despite battling an ill-handling machine for a majority of Sunday’s Monster Energy NASCAR Cup Series (MENCS) race at Texas Motor Speedway, Ricky Stenhouse Jr. drove his Fastenal Ford to a 16th-place finish. Ryan Newman and the No. 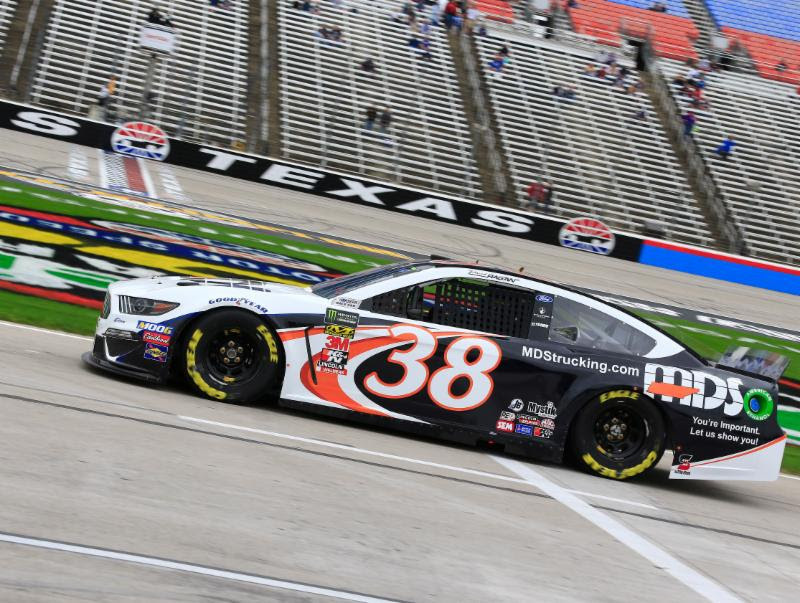 6 team battled back from some early weekend adversity and ran inside the top-10 for much of the day Sunday afternoon at Texas Motor Speedway, before crossing the line 11th in the Wyndham Rewards Ford Mustang.